Charles Hudson was a son of Charles Frederick Hudson and Louisa Ellen Johnson. Charles and Louisa married in 1881 and Charles was born at Telangatuk in 1891. In the same year, his father died from a short illness on 8 April at the age of thirty-four. Charles had two older brothers and sister. In 1903 when Charles Jr was twelve, his mother Louisa married Frederick Wensley and the following year a daughter was born at Balmoral. Later Charles’ mother and her husband Frederick moved to Hamilton. Charles was working a driver when he enlisted on 10 September 1915 and in early 1916, he left overseas with the 23rd Battalion, 8 Reinforcement. On arrival in Egypt, Charles was transferred to the 24th Battalion while at Moascar. A week later he was off to France, arriving at Marseilles on 26 March. In 1916, Charles was wounded and sent to the 1st Eastern General Hospital in London. He wrote a letter home to his mother to let her know he was doing well and told her details of his injury. On the night he was wounded, Charles had volunteered for a raid on German trenches. It was about 11.15pm on 29 June 1916 near Armentieres, France and the men climbed over the parapet and crawled around 275 metres until they were just under 100 metres from the enemy trench. They had to wait for the battalion’s artillery to start firing at the enemy before they were to run towards the trench. Shrapnel was flying around and Charles fell on some barbed wire but picked himself and kept running. Within a few yards fell again and couldn’t go on, He told the stretcher bearers to take those worse than him and he crawled to a shell hole where he waited out the bombardment. At one point gas alarms went off and he had to put on his gas mask. To Charles, it felt like hours before things went quiet and he crawled about 350 metres back to his trench. He was carried by stretcher for about three kilometres to a dressing station and then put on a train for a Canadian hospital. He spent two days there before being sent to England. Charles arrived there on 2 July and admitted to the 1st Eastern General Hospital. He took shrapnel in two places and had one operation but two pieces remained in him. Charles was able to rejoin his battalion on 24 November 1916 at Dernancourt, France. By April 1917, the 24th Battalion was at Favreuil. During the night of 21 April, Charles and another man were in a dugout detonating bombs at nearby Noreuil. A bomb came over burying them both. Charles’ companion was able to climb out and drag Charles out. Although they had their masks on at the time of the bombing, Charles was gassed and wounded. 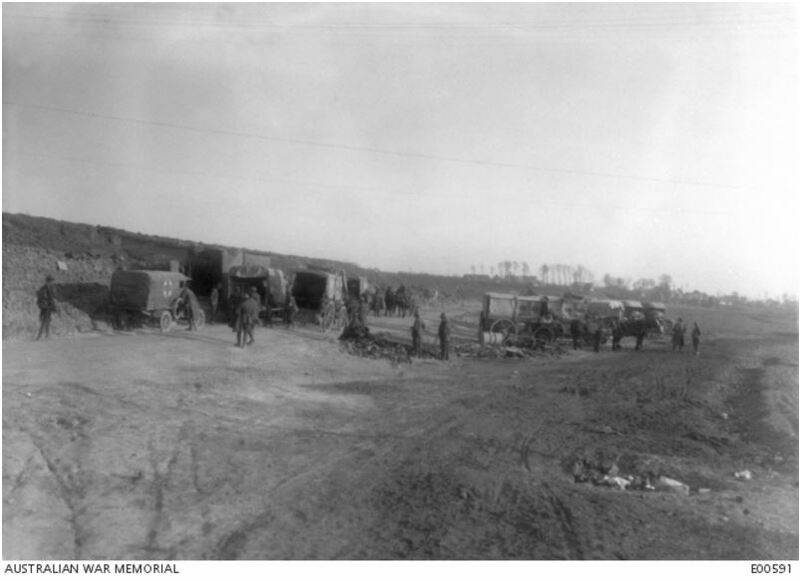 He was taken to the Anzac Advanced Dressing Station where he died a few hours later. By the middle of May 1917, Louisa heard her son had died of wounds on 21 April 1917. Louisa later moved to Derrinellum then Vite Vite. She eventually returned to Hamilton where she died in 1946 aged eighty-five. Charles was remembered on the Hamilton War Memorial and a tree was planted for him along Hamilton’s Anzac Avenue. His name is also on the Balmoral War Memorial and Strathkellar Honour Roll.